GPS apps for the iPhone are growing at a massive pace and there is no shortage of apps that provide handheld GPS type features but few tick all the boxes. 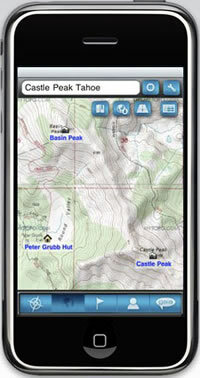 Gaia GPS is a new entry from US company, Trailbehind Inc. Currently available in the US with US and Canada Topographic mapping courtesy of MyTopo. An International version is coming soon and we have been granted access to a beta copy for evaluation. Gaia GPS stands out in this segment by having free mobile access to topographic mapping with no limit to the number of maps you can download, and all at no extra cost. 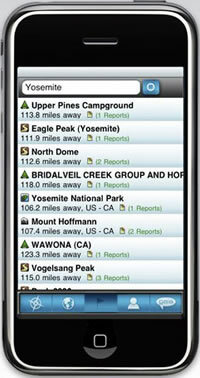 There is also full access to iPhone off-line maps so you do not require cellphone coverage to use them. Full track logging, import, export and access to 10million POIs with detailed information on landmarks. Finalised details of the international version are not decided as yet but it will incorporate many improvements. 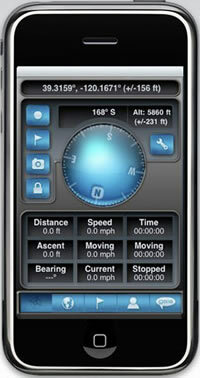 Gai GPS takes full advantage of the iPhone display with some great graphics and an intuitive interface. The US version is available in the US Appstore (link below) for $2.99 and we will bring you a full preview of the international version as soon as we can. I notice the compass in the first picture, so I'm assuming this is aimed at the 3GS? No, whilst it will make use of the 3GS compass is available you can switch the compass to a map instead if you have a 3G.